For as long as I can remember, I’ve had a love-hate relationship with backpacks. As a teenager, I thought backpacks were cramping my style, so I moved to totes and purses by grade 9. I dabbled in backpacks throughout college, but only ever for the purpose of weekend getaways or music festivals. It started with an easy canvas Baggu backpack, and later with a mini Fjallraven. Brands that still make excellent backpacks now. I liked and used both of these bags, but still carried my laptop in a heavy leather tote bag, which made it unbearable to lug it to and from conferences and work. Fast-forward to my adventures as a pseudo digital nomad, and backpacks started making sense again. My life and even my style have changed a lot since I ditched working in an office and the right backpack, I figured, might work with my style. A friend recently asked me what backpacks I thought were baller and I immediately had several suggestions — having done the research myself only last year. My needs might not be the same as yours, so take everything with a grain of salt. When I was shopping for a backpack, I had a couple of key criteria: It needed to be as nondescript and elegant as possible, it needed to be light, have an inside sleeve for a laptop, and have sturdy construction and zippers. That was it! Oh, and be available in black. 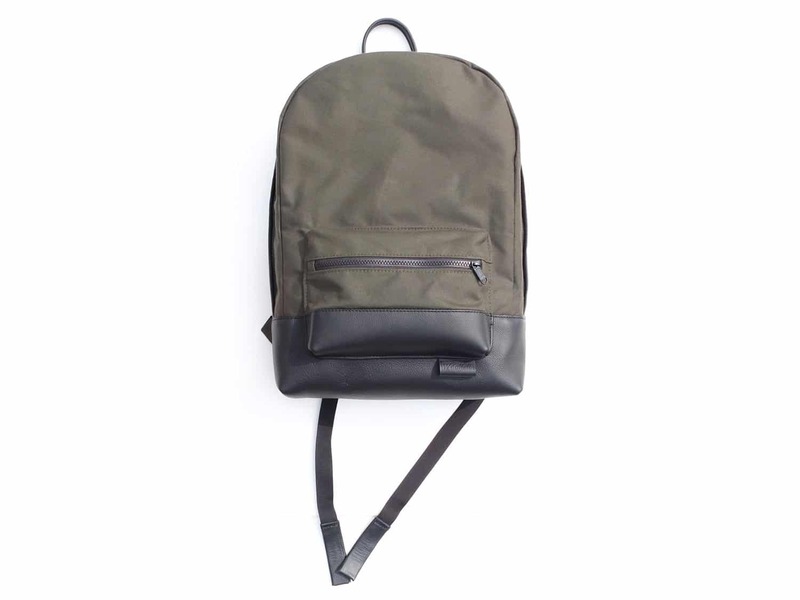 For me the winner was the Everlane backpack. No big deal, it’s also been spotted on Malia Obama. The inner pocket for my macbook is perfect and nine months later, it’s still my travel MVP. In Canada, everyone has Herschel Supply and Co. bags, and I’ve heard good things. I would recommend checking them out, since they also have quite the selection of models and colours, at pretty reasonable prices. Most of their bags include the laptop sleeve, and several smart interior and exterior pockets. They’re slightly more outdoorsy than the Everlane bags, so depending on your style, might be a better fit. Woolfell is a brand out of Montréal, Canada. They make gorgeous leather and canvas backpacks that are just quite nice to look at. The only reason I did not go with one of these bags was my budget, but otherwise, I would have loved to support a local artist and have a beautiful bag. If you’re looking for a more technical bag — something close to a hiking backpack, I’ve read rave reviews of the Pacsafe anti-theft backpack. According to their product description, “flexible, lightweight, stainless steel wire is integrated into our adjustable straps making it invisible to the eye, yet very effective at preventing bag slashers from slicing through and running off with your gear.” Neat. Got a bunch of money for a beautiful backpack designed to lug camera equipment? The Ona backpacks are designed to carry all the tech gear you might have, and still look stylish. Such design does come at a price, but how good do they look? From the product description, “the backpack is designed to hold a camera with a 70-200mm f/2.8 lens attached, up to seven additional lenses, most 17-inch laptops and small personal items,” so that’s something.